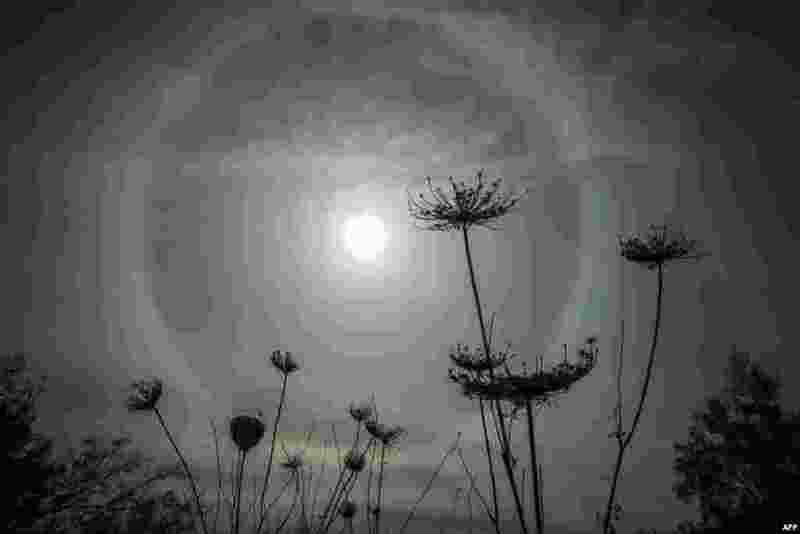 1 A halo around the sun is seen near the Israeli kibbutz of Nahsholim. 2 Cuba's President Raul Castro salutes at the tomb of his older brother Fidel Castro, a simple, grey, round stone about 15 feet high, at the Santa Ifigenia cemetery in Santiago. 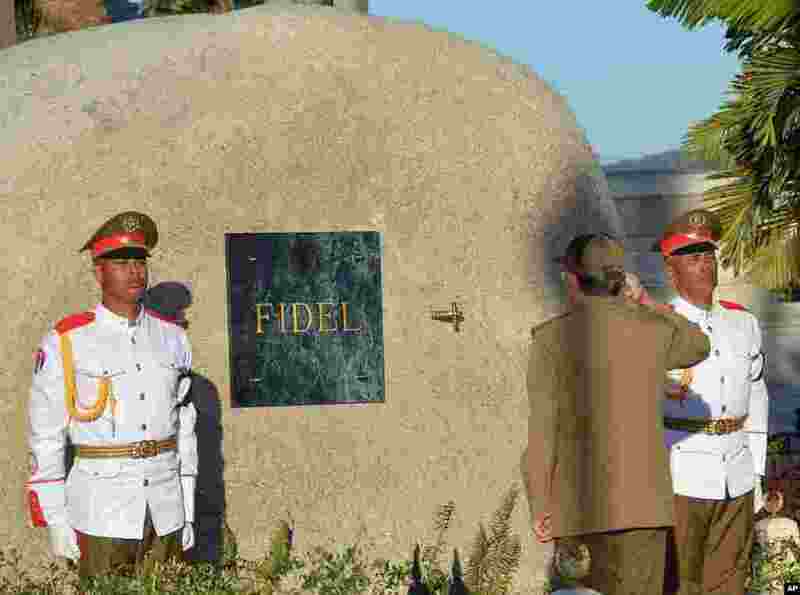 Raul Castro placed the ashes in a niche in the tomb that was then covered by a plaque bearing the single name,"Fidel." 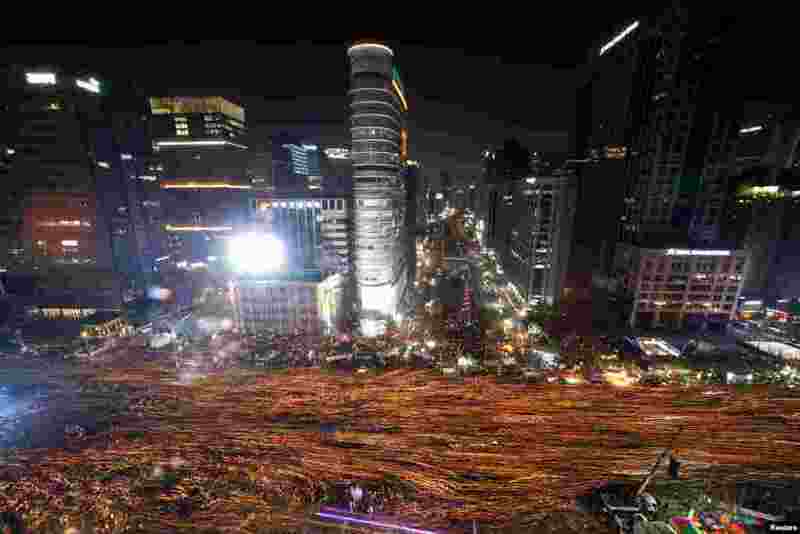 3 People march toward the Presidential Blue House during a protest calling for South Korean President Park Geun-hye to step down in central Seoul, Dec. 3, 2016. 4 Noriaki Kasai from Japan jumps in front of the rising moon during the single competition at the FIS Ski Jumping World Cup in Klingenthal, eastern Germany.